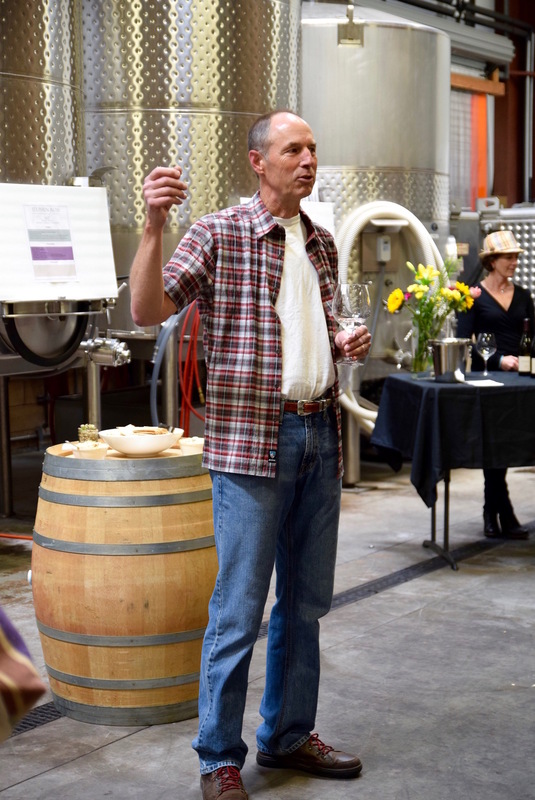 A great way to sample some of the 28 wineries in San Luis Obispo is by attending the Roll Out the Barrels wine weekend where you can get up close and personal with many of the winemakers. I've been reveling and writing about all of the great non-Napa wine tasting regions there are in the state of California. And yes, I might be rubbing it in now for those that don't live in this great state and can't hop in the car to venture in any direction to find something new. There's Santa Maria, Temecula, Santa Barbara, Lodi and today, we're going to Roll Out the Barrels in San Luis Obispo. For some unknown reason, I haven't spent much time in San Luis Obispo. Consider me spoiled again for having my own beach, cute shops and great restaurants in Los Angeles, but we do not have wineries like San Luis Obispo does, or SLO Wine Country as they call it. So when I received an invitation to check out SLO's Roll Out the Barrels wine weekend, I didn't hesitate to fuel up the car and head north. Downtown San Luis Obispo has everything you want in a great small town - close beach access, artisanal restaurants, boutique shops, cultural experiences and their own Bubble Gum Alley. You can hike, bike, taste, eat, drink, take in a show, museum, or even visit a 1772 mission. Cal Poly is just down the street, bringing a young diverse population when school is in session. There's a range of lodging options for all budgets, including the wallet-friendly Lexington Inn with a pool and great access to all of the action. If you're not ready to jump into the vines, you can enjoy some wine with your creative side at Art Bar. They serve up food and wine to help you unleash your inner artist. I was inspired by estate grown Chardonnay and Pinot Noir from Center of Effort while nibbling on tasty food from the neighboring Granada Hotel like oysters, scallops, grilled broccoli and a nice charcuterie board. You can join a workshop or plan your own party. Sinor - LaVallee is a great spot to start your wine tasting in San Luis Obispo, especially if the affable Mike Sinor is in-house. Mike and his wife Cheri LaVallee started their namesake winery 1.2 miles from the Pacific in 1997. They're growing estate wines in a manner that can't be neatly labeled. Sinor - Lavallee speaks of terroir, aka, the soil, people and place where it's created. There's no chemicals or synthetic products used because then you lose the taste of the grape and terroir. Mike uses some biodynamic principles - the one's he likes. He happens to like filling a cow horn with manure and burying 30 of them across his 30 acres. Why? Not just because it makes a good story, though it certainly does, but because you're getting the fungi, energy and smell of the vineyard in that cow horn buried beneath the soil. Mike likes to say that they, "farm organically with biodynamic inputs." This philosophy isn't something he likes to talk about and certainly isn't how he markets Sinor - LaVallee wine. If people ask, he's happy to tell them, but all he wants to do is make great wine. He's focused on quality and what can be done to enhance the product. Sinor talks about how intimacy makes great wine - intimacy with the land, the grapes and the people who work there. It's all important. He believes, "the best fertilizer a man could put in his fields is his own footsteps." 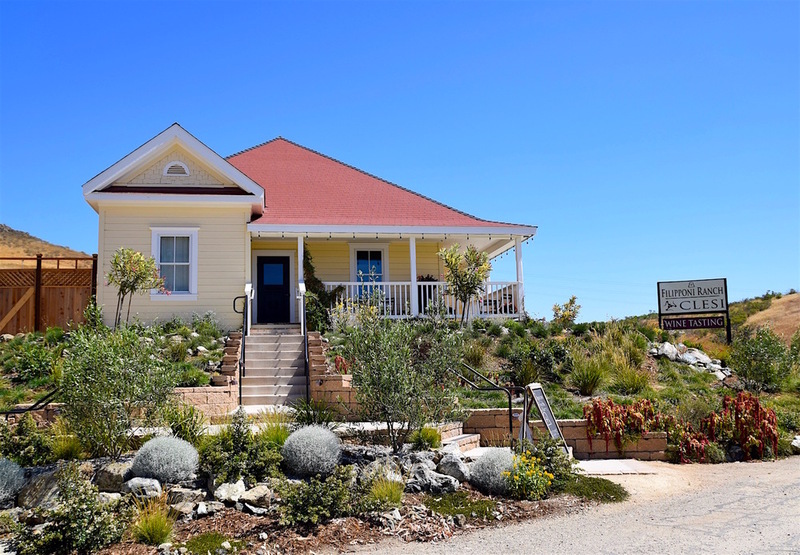 After taking steps through Sinor - LaVallee's vineyard we drove down the road to their tasting room in Avila Beach. We did an interesting tasting of same varietal wines where the only difference was the date the grapes were picked. We sampled two 2010 Pinot Noirs where the grapes were picked just 5 days apart, but in that time there was a big heatwave and the 5 day difference produced a much more concentrated, dense wine with a huge increase in brix, or sugar content. They were 2 completely different wines. Mike pays close attention to all of these details. Sinor - LaValle wines are divided into three labels. White label are very limited wines from Bassi Vineyard with lower alcohol and higher acidity, while black label wines are also limited, but focus on higher alcohol and lower acidity. The SLO County label is a SLO blend from their land. You'll see classic Chardonnay, Pinot Noir and Syrah, along with Pinot Gris, Pinot Noir Vin Gris, and Albarino. Mike is also the winemaker at Ancient Peaks in Santa Margarita if you want to sample more of his wine, and I'd say that you definitely want to do that. Filipponi Ranch is a family-owned and operated winery, founded by Lorenzo Filipponi who moved from Switzerland at the beginning of the 1900's. Under the vision of his son Herb, he opened a dairy farm at Filipponi Ranch. It operated as a dairy farm right up until the 1960s. There were 55 dairies in the area then and now there's just one left and it's at Cal Poly. Filipponi does still raise grass fed beef, and on a morning hike we mingled with the cattle, all of us trying to stay cool on a hot summer's day. It was worth it to take in the Edna Valley views on top of the moutain, but an easier way to take in the views is to join Filipponi's Shakespeare Under the Stars festival July 14 - August 6. You can drive up a good portion and pack a picnic to enjoy with the on site wines. We hiked to a lovely meadow where we enjoyed a fabulous Provence-style Rose. We all know that I'm a French Rose snob. Sorry, the French just have it down, but I have to say that Filipponi and Peter Cron, the winemaker, know what they're doing here with this Grenache, Syrah, Mouvedre blend. And no, it wasn't just because I was hot and tired and because there were berries and sweeping vistas. At $18, this bottle is a steal. All of the grapes at Filipponi are purchased, but that doesn't mean Cron is hands-off. He works with many of the vineyards where he gets his grapes to recommend growing and picking preferences. He uses less oak to show the true expression of the fruit. Cron says, "I don't want to be a winemaker. I want the wine to make itself." We enjoyed a true Santa Maria BBQ at Filipponi, which made for a perfect food pairing for the Filipponi Tempranillo, Syrah and Cabernet that we sampled. 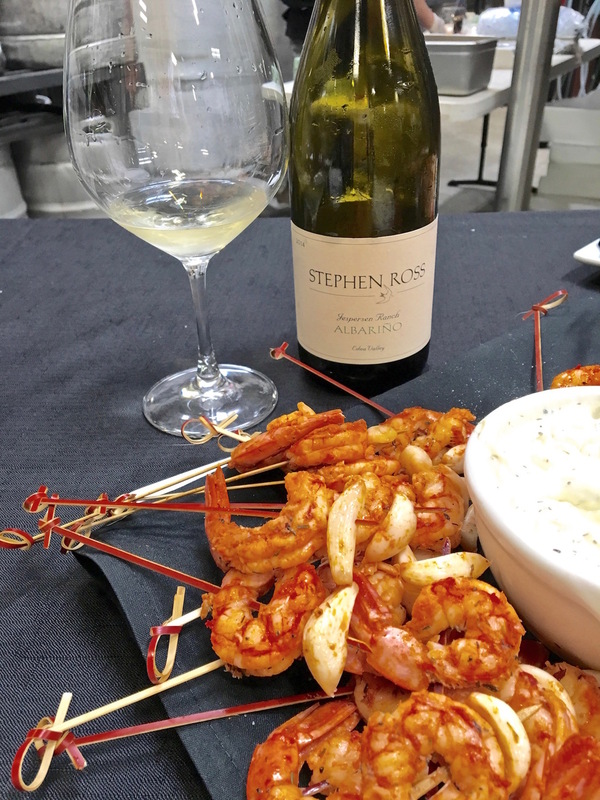 Continuing with our food and wine pairings during San Luis Obsipo's Roll Out the Barrels, we visited Stephen Ross Wine Cellars' tasting room where he hosted "Tapas at Two." 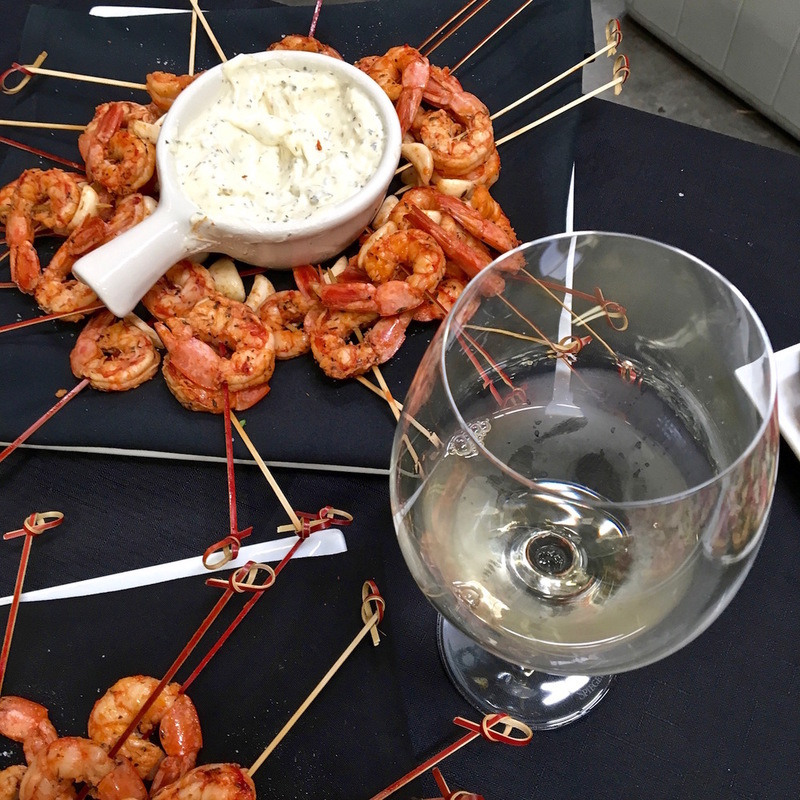 We were greeted with a crisp, low alcohol 2014 Albarino that we were instructed to sample with the grilled shrimp. You might want all of this on your next picnic. We then did a vertical tasting of Stephen Ross' Stone Corral Vineyard Pinot Noir from 2011, 2013 and a 2015 barrel sample. Each had a character all its own with deep, dark fruit notes with good structure. The 2015 is going to be dynamite when it's released in early 2017. Stephen Ross began winemaking in his ripe teenage years in the basement of his family's Minnesota house. It may have been rhubarb and apple wine, but it was a start and a passion that grew from there. After studying enology for AC Davis, he spent a decade making wine in Napa and throughout the area before starting his own label in early 2000. His wife is now a partner in all things and they have a second, value wine label, Flying Cloud. How can you top all of that? You can get some of the best winemakers together with one of the best local chef's for a food and wine extravaganza, Taste the Coast. Taste the Coast is one of the highlights of SLO's Roll Out the Barrels weekend. Clairborne & Churchill hosted the five-course wine pairing dinner with top local chef Brian Collins from Ember Restaurant doing the cooking. Each course was paired with not one, but two different wines from two different producers. Each winemaker discussed their wine before sampling. It was interesting to compare Albarino's during the first course of lobster salad. Verdad's 2015 Sawyer-Lindquist Albarino was crisp and clean and biodynamically produced. Pelaton's Albarino was bigger, fuller bodied with apricot and dried fruit. It was a fun comparison throughout the meal comparing wines with different dishes. There was definitely something for everyone. Clairborne & Churchill's 2014 Chardonnay rounded out the beet cured wild king salmon while 2013 Stone Corral Stephen Ross Pinot Noir brought depth to the wild ramp and caramelized onion rotola with crispy duck confit. Lamb merguez bolognese burst with flavor and was tempered by the 2012 Tolosa Salaal Syrah, Grenche, Petite Sirah. The grand finale dessert of vine roasted fig jam with honey-ricotta ice cream and pecorino was delicious on its own, as was the 2013 Verdad Tempranillo and 2012 Peloton Le Pave. If you've ever wanted to get to know any of the 28 wineries in San Luis Obispo, Roll Out the Barrels is a great weekend to learn and taste some of the best of the best. There's also Harvest on the Coast November 4 - 6, later this year if you prefer cooler temps and the action of a grand tasting and wine auction. I may see you there as I still have more wineries to sample! 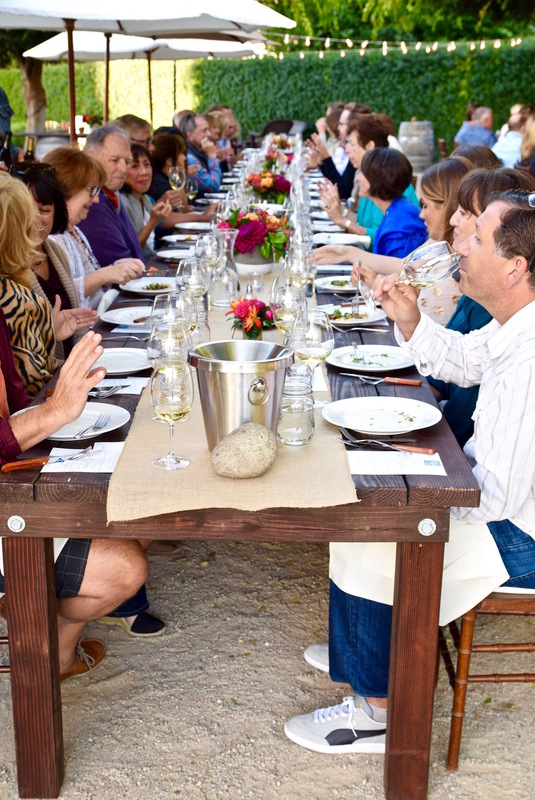 Want more CA Wine Tasting Ideas? Check These Out. I was hosted for the San Luis Obispo Roll Out The Barrels Weekend, but all opinions are always my own.